The big news in the world of finance is the quick drop of mortgage rates that has occurred throughout 2014. The plummeting rates have created many opportunities for existing homeowners. Those with the most significant advantages in the current mortgage rate environment are people with existing mortgages older than 90 days. Yes, you can refinance your home after only 3 months, and there are fantastic benefits for doing so when the interest rates are low. Any homeowner who can qualify for VA mortgages or loans with no closing rates will come out with the most overall results. However, any homeowner can make the best of this new mortgage rate drop by lowering their interest and saving a great deal of money over the course of an entire mortgage. The amount of interest saved when refinancing a mortgage early in its original term is where the biggest chances of savings occur. 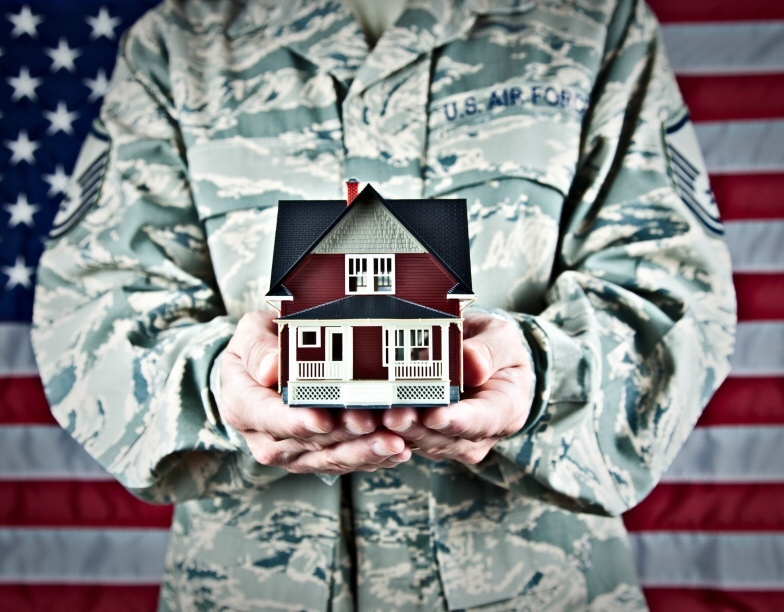 Getting a VA mortgage loan is easy for anyone who has served in the U.S. military. Your experience has created a unique eligibility for loans that are not available to the public as a whole. VA mortgages are standard loans, which are excellent values in themselves, and have very low closing costs associated with them, and in many cases, no closing costs at all. The most popular refinance method for veterans who are current homeowners is the VA Streamline program. The Streamline lets any veteran who already has an existing VA mortgage simply refinance with all of the current information on file. That lets vets take advantage of a lower interest rate in a nearly one step process with no closing costs or hassles. The VA Streamline process is fast, and an effective way to get the most out of your home’s mortgage. In 1944 the VA Loan Guaranty Program began. It was developed as a part of the G.I. Bill to provide a standard of living for the returning military members and their families as well as surviving spouses by making sure they had reasonable, high-quality access to home loans at low costs. That is how the “VA Loan” was launched, and how it exists today. There are two basic types of VA Loans. They are easily recognizable as the standard style of loan available for home owners today: the fixed-rate and the adjustable-rate term mortgage (also known as the ARM). These two styles of loans are usually developed as 15 or 30 year mortgages. There are a few standard criteria to qualify for a VA Loan other than military service. While any veteran can apply for a loan covered by the G.I. Bill, they must prove their eligibility by producing a Certificate of Eligibility. Most lenders will apply for this certificate from the Department of Veterans Affairs at the beginning of the application process for you. In the rare case where the lender does not, you can obtain a C.O.E. by requesting it yourself. It is helpful if the lender applies for the certificate. When a bank orders the C.O.E. online the document is delivered to them quickly, usually in less than a few minutes. When veterans need to obtain the document on their own, it can be done using form 26-1880 from the Veterans Benefits Administration, and it is mailed to them at their current residence. In order to be eligible for a VA Loan, veterans must also show fair ability to repay the loan. They must have a credit score of over 620 and meet the VA requirements for residual income. The definition of residual income is the amount of money available to the household after all financial obligations including mortgage, utilities and other monthly bills are paid for. The VA requires all loan applicants have a residual income of $441. Furthermore, the home must be for their own use or for their eligible family members. Even though the standard financial eligibility for a VA Loan is lower than most other loan types in the country, VA Loans boast a lower than average default rate. The way the VA creates such generous loan opportunities is by guaranteeing their loans. This program is known as IRRRL, which stands for VA interest rate reduction refinance loan. If a veteran defaults of the loan, the VA repays lenders for their potential losses. The IRRRL is also the reason the VA has the most to gain from helping vets lower their interest rates whenever it is possible to do so. Lower interest rates mean lower loss possibilities in the event the VA must repay the money. In order to make sure vets can get a lower interest rate even after a mortgage is in effect, the VA created the streamline. The only stipulation for the streamline process is that the loan must not switch types from a fixed-rate to an ARM or shorten the length of the original loan unless changing the loan parameters allows for extra cash to be used for improving on the home itself.